Realtors are experts at finding the perfect home, condo or rental for people seeking to enjoy the islands. 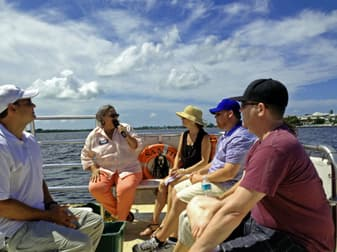 The Sanibel and Captiva Islands Association of Realtors have worked diligently to educate their members about the special nature of Sanibel and Captiva through mandatory orientation education programs for new members and sponsoring an all day, state certified, in-service class on special considerations for coastal living. SCCF teaches those classes. The local association was the first in the state to respond to need for more participation in bringing water quality issues into the lobbying realm. Rallying not only the Island Association, but slowly spread to southwest Florida and to the entire state. The Florida Realtors (C) now actively participate in the efforts to improve water quality throughout the state including Everglades restoration, estuary protection and safe drinking water. They are currently working to make this a national priority for all their members. Realtors (C) understand the quality of their product- the land and water which they connect buyers and sellers- are dependent upon a healthy ecosystem. SCCF is proud to have Realtors support many of SCCF's policy initiatives.